March 25, 2014 By Elizabeth Lindemann 2 Comments / This post may contain affiliate links. Today is an exciting day for a Tuesday!! First, I was so excited to come home and make the quickest, tastiest meal ever: Linguine Fra Diavolo. 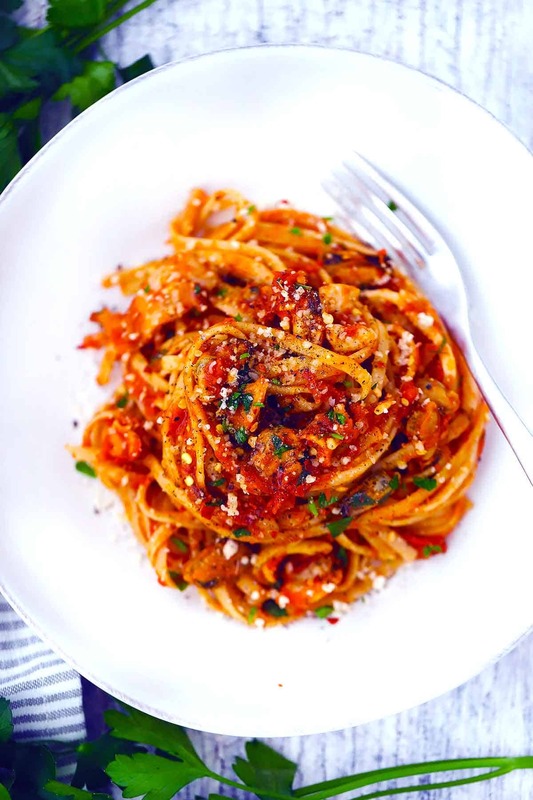 Fra Diavolo is Italian for “Brother Devil,” and is the name for a spicy red sauce served with pasta, seafood, or both. This recipe is so simple, so delicious, and takes four ingredients and 15 minutes to make. No joke. After a long Tuesday at work, I was so excited to come home and make this amazing meal in very little time. Second, I came home to a package in the mail– my new DSLR camera! Yay! Up until now, I have been using an old Nikon Coolpix point-and-shoot to take my pictures (with some heavy photoshopping). After doing some research about the best entry-level DSLR cameras, I ended up getting the Canon EOS Rebel SL1. So far, so good! 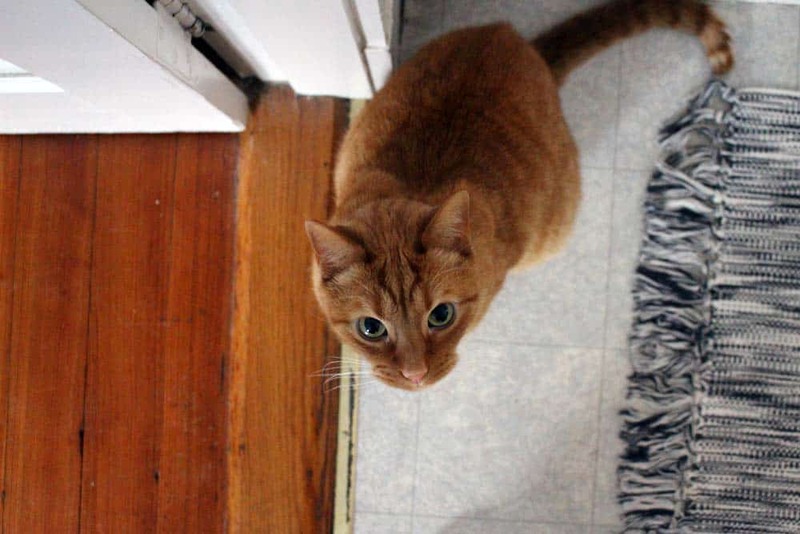 (I’ve taken way too many pictures of our cat, Oscar, for one evening. He was not as pleased as I was about this). But more importantly, back to the Fra Diavolo. My ultimate recommendation for this (and for all recipes requiring marinara sauce): use homemade marinara sauce. I make mine in bulk and store it in my freezer in quart sized mason jars, which are the perfect size for a generous recipe serving of sauce (I always end up wanting a little more than a recipe calls for). When I know I am going to cook something involving marinara, I take it out of the freezer and keep in the fridge a few days before, or run it under hot water to loosen, transfer to a saucepan, and thaw on the stovetop. Of course, if you are in a bind and need to use store-bought, it will surely suffice. Especially if you get Rao’s or another very tasty brand. I used a mix of frozen calamari, scallops, and shrimp from Trader Joe’s for this. To thaw the seafood, run warm water over it in a mesh strainer for a few minutes before sauteing. 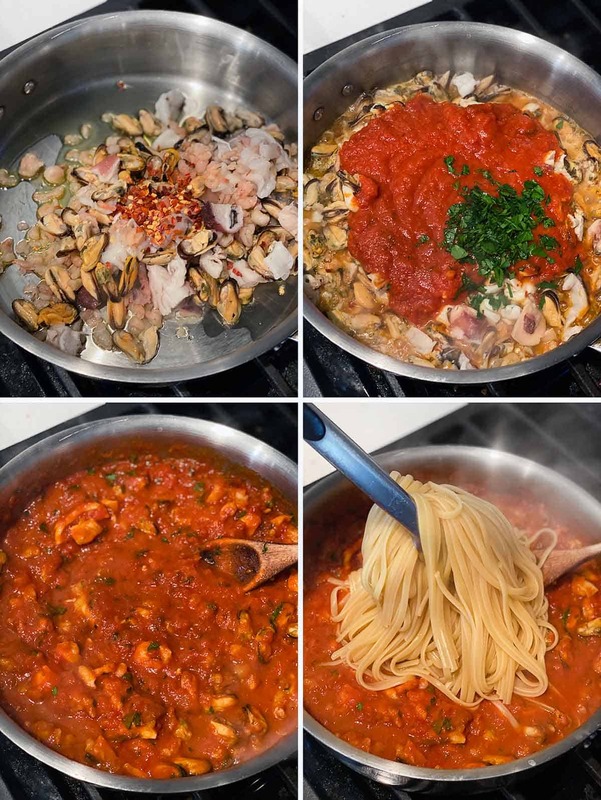 This meal is as simple as: saute the seafood in a large skillet in some olive oil and crushed red pepper flakes until cooked, add marinara sauce and heat through, and add cooked pasta to the skillet. 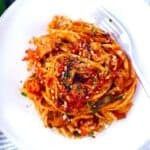 A spicy red sauce with mixed seafood over linguine. This recipe is so simple, so delicious, and takes four ingredients and 15 minutes to make! Bring water to a boil and cook linguine according to directions. Saute seafood in a large skillet in olive oil and red pepper flakes until cooked through and no longer translucent. Add marinara sauce to skillet and heat through. When pasta is cooked, add to skillet and toss to coat. Hi Elizabeth ! 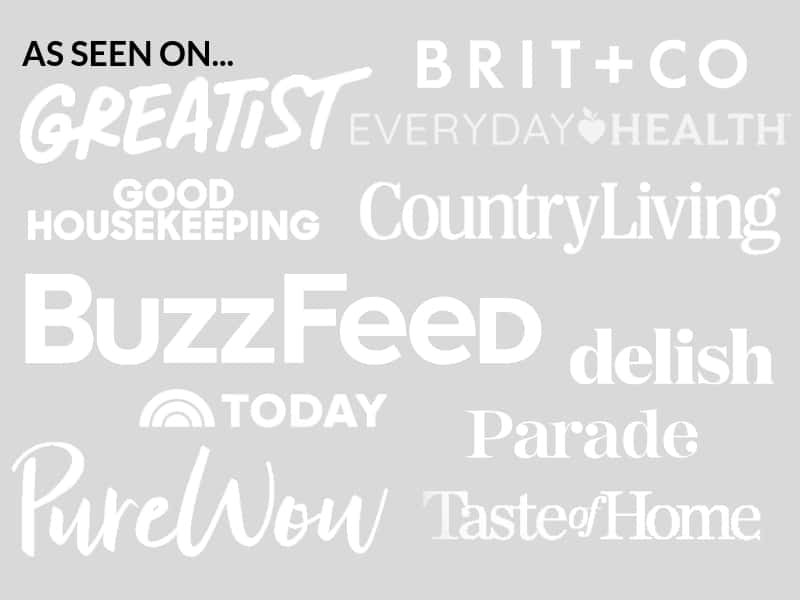 Just wanted to say how much we love your write ups! Can’t wait to see you two soon!